Anime giant Studio Ghibli is releasing a collaborative Baby-G watch based on the movie Kiki’s Delivery Service (also known as Witch’s Delivery Service in Japan), one of its most famous and beloved films. The watch arrives on the 30th anniversary of the movie’s theatrical release and the 25th anniversary of Baby-G. 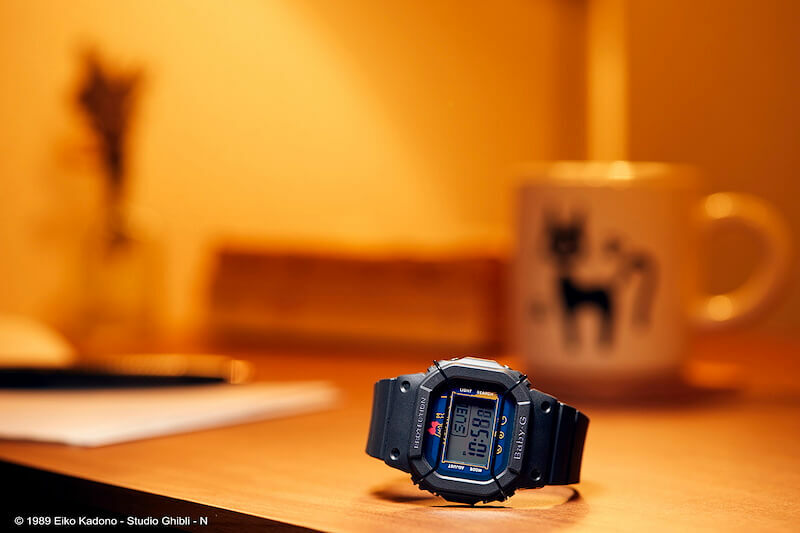 The watch is a matte black Baby-G BGD-501 with custom design elements inspired by the movie on the face, lower band, and EL backlight. A removable wire face protector is included. The Kiki’s Delivery Service x Baby-G BGD-501 will cost ¥15,800 JPY plus tax and will be available for reservations in early March 2019 at Acorn Republic, with delivery in April. The watch will be available in Japan only as Acorn Republic does not ship outside Japan. For the latest updates on release and availability please visit www.gbl.tokyo or follow gbl.tokyo on Instagram.